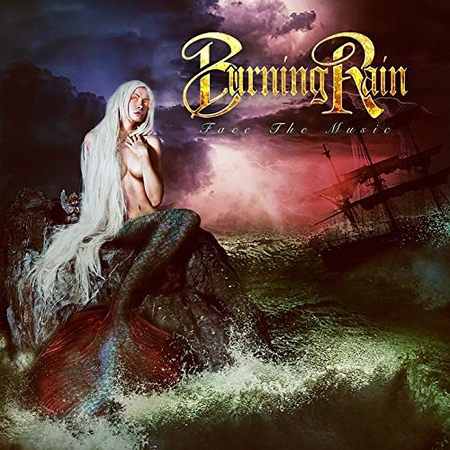 Aldrich and St John formed Burning Rain in 1998 before either really had huge international recognition; although Aldrich had released albums with Lion, House of Lords, Hurricane and Bad Moon Rising. The band released their self-titled debut in 1999 with Ian Mayo on bass and Alex Makarovich on drums. A second album called “Pleasure to Burn” was released in 2000 with the same line-up please Edward Roth on keyboards. The band then went on hiatus as Aldrich went on to perform with Dio and then Whitesnake whilst St John joined Montrose and performed with many other bands. In 2013 I interviewed Doug in Belfast whilst he was on tour with Whitesnake and at that stage Burning Rain had just released their third album called “Epic Obsession”. This time it featured Sean McNabb on bass and Matt Starr on drums. Other commitments meant that “Epic Obsession” probably wasn’t promoted as much as it deserved as it was a great album. This time around Doug has ensured that “Face The Music” is released whilst he has some time off from The Dead Daisies, allowing him and Keith to do some acoustic shows and Burning Rain to perform at the Frontiers Rock Festival this month. The new album features former Y&T bass player Brad Lang and former Slaughter drummer Blas Elias.